At last! Philips have updated their app to allow you to set the last on state when after a power failure. This is option is under settings and called ‘Power-on behaviour’. Ensure all your bulbs are updated, if not it will say ‘Not supported’. If the bulb has the latest updates tab you can click through to edit. All Hue lights need to be powered all the time and therefore the mains switch is left turned on. If there is a power cut in your home, once it comes back on, all your Hue bulbs light up bright white. This was set as a safety measure so that incase of an emergency your lights are fully bright and you can see. With this new feature called ‘Power-on behaviour’ the bulbs will save its last state so when turned on and off or if power is lost, once powered back up it will go back to its last state. So if it was set as blue before, it would come back on in that blue color. If the bulb was turned off, then it would remain off even when the power comes back on. 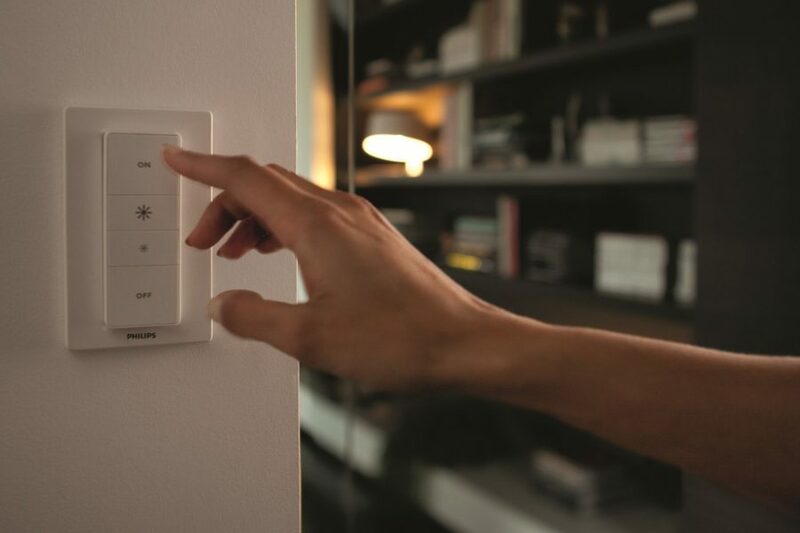 You can set each individual light point in your home to one of the two “power on behaviors”, 1. 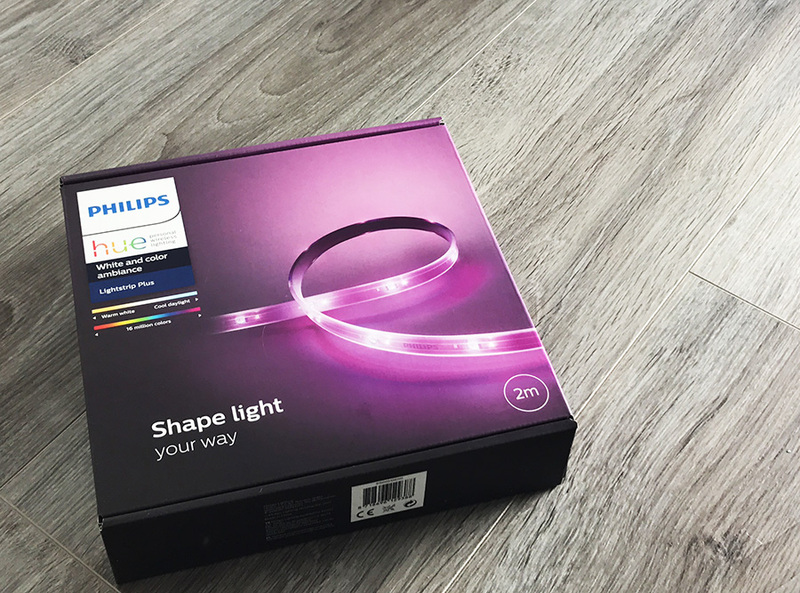 Philips Hue default, 2. Power failure robustness. 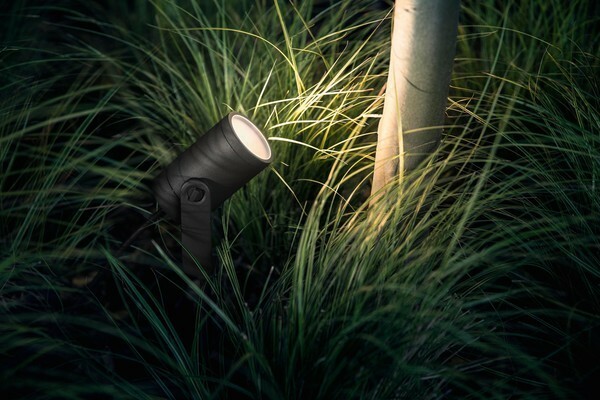 These options can be set per lamp, per room, or for your entire home at once. 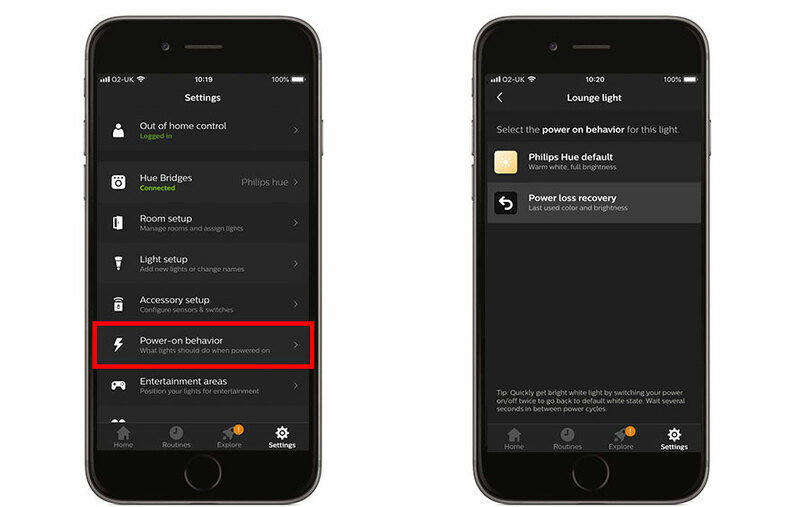 The new feature will be rolled out throughout the year and available for all Hue lights, it shall be an update via the Hue app and will then give an option in the settings for power fail on. Please note to use this you must ensure your app and bulbs are up to date. You also need a second gen bridge, this feature will not show if you are using a first gen bridge. What about setting your own colors? The hue app only has two options for setting the state when powered back on, however they have recently announced the ability to set the color will be coming soon and likely to be released next month. There are already other apps that have been released that give these extra options, iConnect Hue and Hue Dynamic are third party apps but offer more function and options using the Power-on behaviour setting and function. Read more about this here – iConnectHue and HueDynamic Add ‘Last on State’ Feature. Third party bulbs such as the Ikea Tradfri range won’t work and it will just say ‘not supported’ in the app. This is because the bulb update is only for Hue bulbs. The update is long over due, it is simple to use and works well in the Hue app. However that being said it seems basic as there are only 2 options, of which on was the default we already have. Other third party apps such iConnectHue and HueDynamic have added a ‘Last on State’ feature, however they have a bit more function as you can change the color the bulb comes on as in default, so instead of the full bright, warm white, you can set it to be a cooler white or a completely different color. I’ll believe it when I see it. This was a feature that was announced by the same individual as coming soon over 8 months ago. Where did you see/hear that announcement? Statement in an interview I believe. It’s been awhile ago. In any case, you’ll note it’s been another 3 months and this is still vaporware. I wish I’d invested in LIFX, they have superior color spectrum and have had this all along. They look more expensive but the lack of need for a hub causes it to work out about the same in the wash.
It’s baffling why they would have chosen a dingy ugly yellow warm white instead of a bright daylight if they were actually concerned about emergency lighting in the first place. A proper daylight spectrum (concentrate) provides far better visibility at the same brightness level. Who did they poll before choosing that warm white color, senior citizens? That’s the bulb color everyone used in their homes back in the 80’s. Has this feature been implemented for release to update the globes? It will be an update to all Hue bulbs when released. Only have this function with my E27or my GU10 still missing it. Any update on date of release? This is by far my biggest complaint with the Hue system. We’ve been recently buying LIFX bulbs since they don’t exhibit the same behavior. Would really like to stick with Hue though. The update is coming later this year, no more information on exactly when. Thank you for the reply, I hope it’s released soon. I really like the Hue products other than this factor. 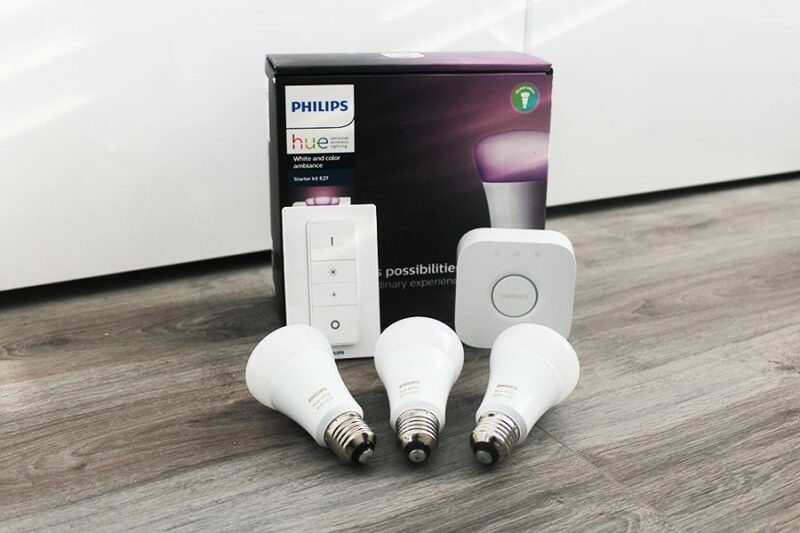 The ability to tweak the power-on action after an outage would be a game changer as far as replacing additional ‘conventional’ bulbs in my home with Hue’s. Many I’ve been reluctant to replace simply due to this issue. You can now enable this setting using hueDynamic for Android. No need to wait for the official Philips app update. No updates yet. Still checking the apple app store every day and hoping and praying this feature will be availible. When the update is released I will buy the gu10 bulbs for my whole house. That would be an investment, but I don’t care. The lights are important enough. You can now enable this setting using hueDynamic for Android. No need to wait for the official Philips app update. The updated version of hueDynamic for iOS is in Apple store review right now, so should be available over the next day or two. Still no update? This was such a big issue for us we ended up returning our Hue lights because of it. I’d love to repurchase them if this was fixed but we’re still waiting. Update was realessed 2 days ago and can now be pushed to the light bulbs. Now only the app needs an update and you are good to go. I guess that will come soon. I updated to version 3.10.0 (iPhone) and still not available on the app itself. Please comment if you have updated information or if this has been rolled out yet in full. Thanks! hueDynamic update for iPhone is in the Apple review stage right now, so power on functionality will be able to be set from that platform soon too. Can’t find the update which is mentioned on appstore or playstore.. Yesterday I returned to my home after being evacuated more than three weeks due to the Camp Fire. I consider myself very fortunate to have a home to return to, as many of my neighbors do not. The first thing I noticed when I opened the door to my home is that all the Hue bulbs and light strips were fully on. I evacuated on November 8, 2018 after the local utility, PG&E, cut electrical power to the home and I was unable to pump water to fight the fire. On November 21, 2018 I noticed that the Home app on my iPhone was showing some of my smart devices were responding, and checking various logs and my electricity usage data at the PG&E web site confirmed that power to my home was restored on that date. Unfortunately, the evacuation orders covering the location of my home were not lifted until noon on December 2, 2018. This means that six Hue strip lights and at least four Hue bulbs were running continuously from November 21 until my return, which is confirmed by the usage data at the PG&E web site. That amounted to approximately 16 kWh/day of wasted electricity! The Home app did not show the status of the lights as on while I was evacuated, and still did not show the status as on after I returned home. When I returned home, I tried to turn the lights off from the Home app running on my iPhone, but the lights would not respond. I power cycled the Hue Hub, and that did not fix the problem. I ended up turning off the lamps by either unplugging them or using the switch on the bulb socket. This morning I did a google search to help me resolve this problem and found this thread. I launched the Hue app on my iPhone and it asked if I wanted to install a firmware update to the Hue hub, I answered yes and was presented with a progress bar. When the bar completed, I was again asked if I wanted to upgrade the Hue hub. Again I answered yes, and the update started. When the progress bar completed, it disappeared from the screen and the app froze. I hit the Home button on the iPhone and re-launched the Hue app, and was asked if I wanted to add devices to my Hue hub. It seems that all of the devices had been deleted when the update was applied to the Hue hub. To say that I am not pleased at all with the behavior of the Hue hub and lamps is a huge understatement. And it would appear that I am even luckier than I thought, for I not only did the Camp Fire miss burning my home down, but none of the Hue lamps started a fire inside the home while they were on continuously for the past eleven days.What’s more, I now I have to go through the laborious routine of adding each of the ten or so Hue lamps back to the Hue Hub so that they will once again be useful. But before I do that, it would also appear I need to delete the lamps from the Apple Home app to avoid confusing the iCloud tally of installed devices in my home. Has anyone else run into this situation? 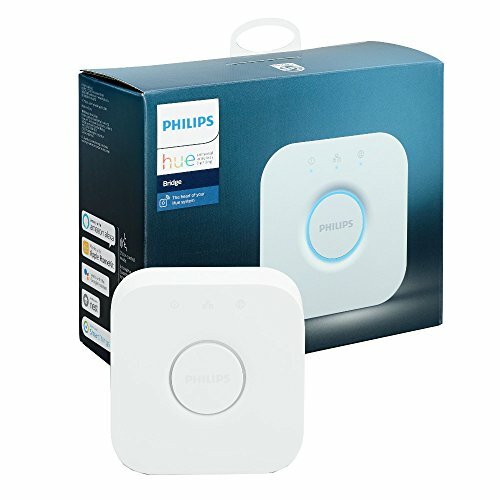 At this point I’ll be disconnecting all Hue devices in my home until I speak with Philips tech support because they are unreliable and have shown themselves to be a safety hazard. BTW, I tried to create a new topic for this post, but the data entry page to do so had a text entry field so narrow top to bottom that no text could be entered. I tried it on both Chrome and Safari to no avail. Still checking for an update everyday, only a few weeks left before the end of the year. I get hopeful every time the iOS app is updated but keep getting disappointed by useless ‘features’ intended to drive sales when such basic functionality is missing. The developer portal says they’re planning on a staged rollout before the end of the year, but they’ve missed those deadlines before so I wouldn’t get my hopes up. Showed up in my app! An update to Hue bulbs looks to have been rolled out, however an update to the Hue app to enable this hasn’t been released yet from what I can tell. My hue app was updated today with the power on behaviour feature. should it not return to energise scene ?? Excited to hear about Power Loss Recovery control……BUT it doesn’t seem to have made it to my Android phone yet to implement….this is Dec 13, checked for updates…all bulbs updated Dec 8, bridge updated Nov 20…says no updates available, up to date. Settings do NOT yet have the “Power-on behavior”. Is there something I should do to kick this on? Or am I waiting for a rolled out download? iOS and Android updates are out today, may just be waiting for it to refresh on your updates to get. me too i have the old bridge it´s because of that?? Works only once. if you close the switch more than once, the light will come back white. Or if the electricity was missing intermittently. Or if a child opens and closes the switch etc etc etc. Have you noticed the same thing? I have the update installed. Only works on first time. If you turn in on and off, it resets to the default color. Still needs work. Same here… I turn the switch off and back on and it keeps the last state. But the next time I turn the switch off and back on it reverts to default. If I then reset the color temperature and try again, it’s works for first time and reverts to default again the second time. It’s done this everytime I’ve tried it… Any thoughts? You need a second gen bridge as pictured in the article. This update works with my BR30 (ceiling) bulbs, but not my A19 (standard) bulbs. Anybody else running into this? Hopefully they’ll support the A19 bulbs soon since these are in all of my bedrooms! Hope this improves. Noticed same problems about not keeping state if turned on and off more than once. I see now why this has not appeared before now, they can’t make it work. Just say so and we can move on. I’ve updated firmware etc and managed to set all bar 4 of my hue lights to power on status, the last 4 lights show “not supported” in the power-on behaviour screen, then says the light needs to be updated before enabling this feature, however, there are no updates available. On is a brand new light strip that says it was last updated 1979-12-31, yet another bought the same day says it was updated 2018-12-15. All and any advice would be welcome. Paul, I did your test, step by step. It worked ONCE. Both bridge V2 and bulb were updated and I switched the power off following your sequence. When I powered them on (same time) the bulb kept its off state and the bridge began to boot up. 5 seconds later (while waiting for the bridge to finish loading its os internally) I powered off the bulb again, counted 10 secs. and powered the bulb back on … it went on, half brightness. 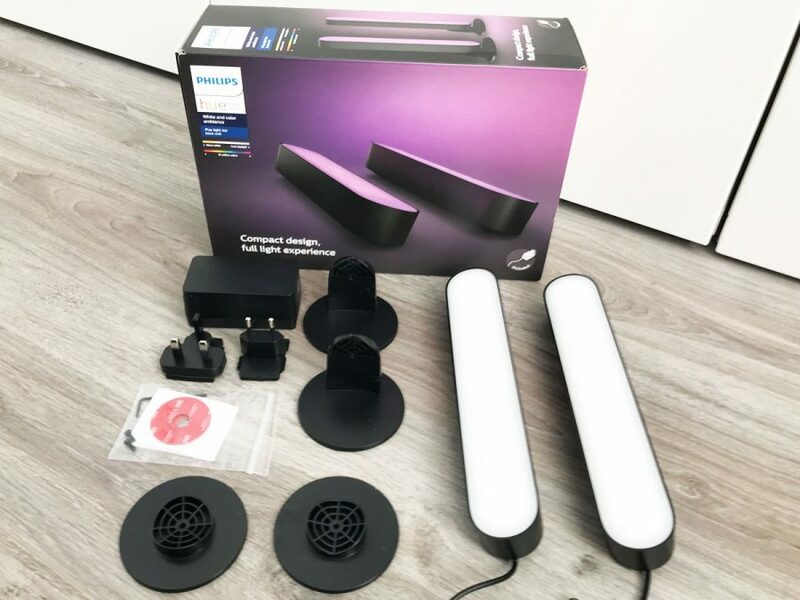 Is it supposed to work with all Hue Lights or do they have to be more recent? Like an earlier poster had mentioned, half my lights say it’s not supported and a software update is required. But then it says there are no updates. Showing 12/15/17 as the last update. The update may not have been rolled out to some bulbs yet, or it hasn’t been picked up yet. This should work with all Hue bulbs as far as I am aware. Power on behavior works only once indeed. Please fix Philips! Everything is up to Date. I have a version 2 bridge but there is no sign of this feature on my Hue app on Android. Nothing. To me my bulbs are BR30 but the app calls them LCT011. The update for the Hub starts with 1811 which looks kind of like a date code and it’s before December. Updated lamp (Hue Being) and the bridge (2.1) to newest version. The “power-on behavior” feature is available and turned on. Works a few times, but when powered off, via wall switch, for more than 2 hours, the lamp turns on with the default setting again. Please fix this annoying issue asap. Otherwise it’s just false advertising. Same here. The power only feature only work once. How on earth it’s so difficult to save last setting to eeprom and turn on to last setting? As an electronical engineer I find this a pretty amateuristic flaw if you ask me.